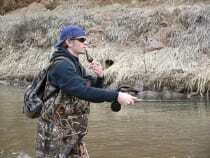 When the winter snow melts, the rivers in Colorado rise, creating some of the best whitewater in the country. 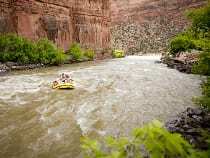 The rafting season runs from later spring through summer, and varies on location. 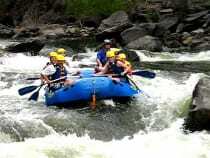 Read our whitewater rafting blog. 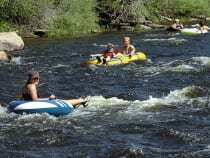 There’s rafting for all ages and thrill-levels, including both lazy floats and raging whitewater. 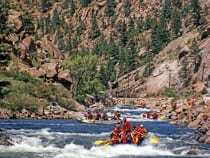 The Arkansas River is the most commercially rafted river in the state, with the Royal Gorge its most notorious section, followed up by Browns Canyon. 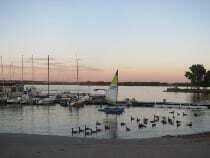 Most of the major rivers in Colorado are rafted, with the Arkansas River being the most popular. 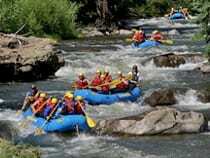 The Arkansas is known for the Royal Gorge and serious whitewater. 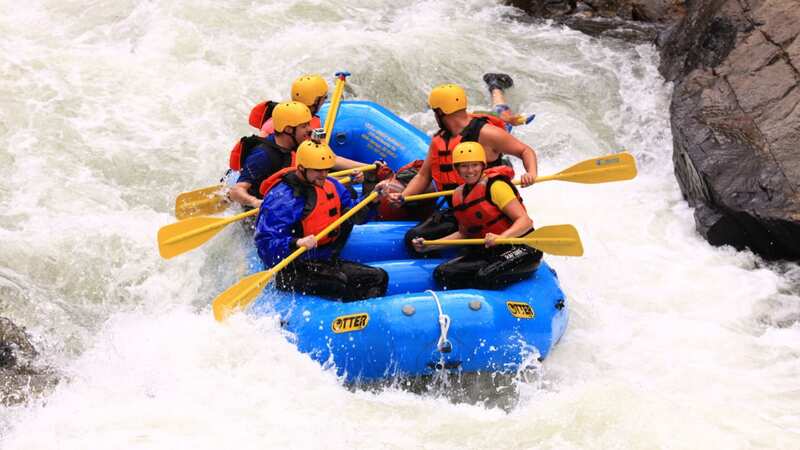 Depending on snow melt and location, the rafting season generally runs May through September. 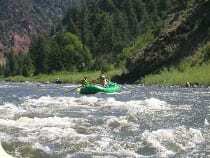 Clear Creek is the closest to Denver, making it a great day trip. 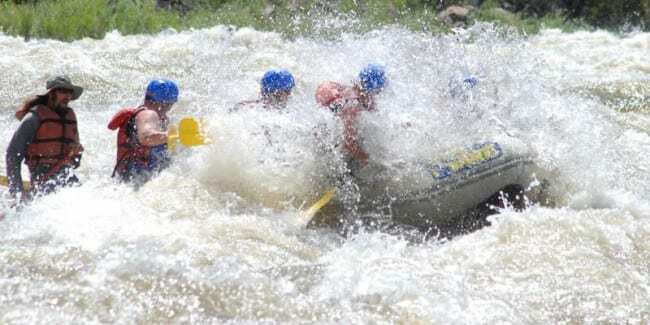 It’s also surprisingly intense, due to its narrow width, with plenty of class three and four rapids. 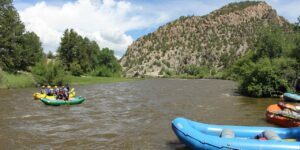 You can often find discounted rafting trips here, making it a best bet for a quick day trip from Denver. 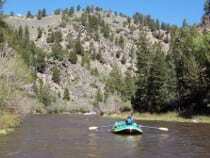 For a more tranquil experience, try a multi-day trip on the Yampa River to Dinosaur. 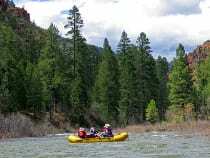 Overnight rafting trips are available from a variety of outfitters and on several rivers. 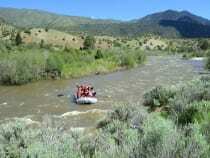 For the exact opposite of tranquil, try Gore Canyon in August. 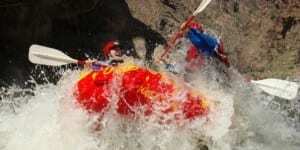 This epic section of the Colorado River near Kremmling is the most gnarly in the state.